The Irish Peatland Conservation Council (IPCC) is delighted to announce the acquisition of a new nature reserve in County Kerry. 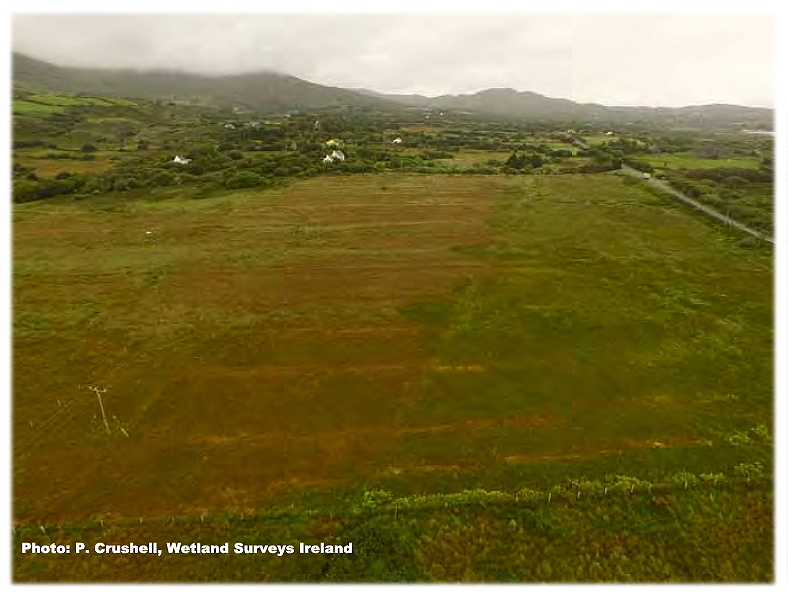 The 10 ha blanket bog site was very kindly donated to the IPCC in 2015 by a supporter who has roots in Kerry. This site is the first of its kind to be owned and managed by the IPCC so it is a very exciting time for the organisation. It now brings to five the number of nature reserves owned and managed by the IPCC (see editors note 1). Coad Bog is located on the Ring of Kerry (N70) between Castle Cove and Caherdaniel in the townland of Coad. Peat was hand cut from the bog in historical times for use by the local blacksmith. There has been excellent regeneration of Sphagnum rich vegetation on the site since turf cutting stopped. 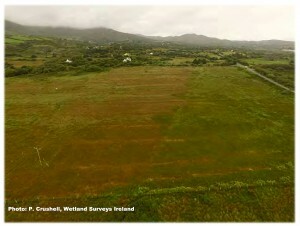 With a little work this site has the potential to be restored to active blanket bog habitat – one of the most celebrated and unique peatland types in the world. To celebrate the acquisition of Coad Bog, IPCC are planning an intensive week long ‘bioblitz’ of the site. During this week long event we hope to attract as many experts and bog buddies as possible down to the bog to discover as much as we can about the nature of Coad Bog. It will be something akin to the type of expedition undertaken by the explorers of the 19th and 20th centuries. We hope collect information about the health of the site including the habitats present, its hydrological regime, vegetation and wildlife present. The Coad Bog ‘bioblitz’ will take place from 20th May to the 27th May 2016. During this week the IPCC will recruit as many volunteers as possible, including experts and interested members of the public to help us gather as much information about the site as we can. The plan will be to profile the bog to determine how much peat is in it, locate any drains, survey its birds, butterflies, spiders and beetles, explore its night skys, map its habitats and understand its local history. ‘This is a very exciting time for the IPCC. We are delighted to be adding a blanket bog habitat to our peatland nature reserves which include raised bog and fen- the other main peatland types in Ireland. I have a great personal fondness for County Kerry and Coad bog is located in what I consider to be one of the most beautiful parts of Ireland. We hope that we will be able to recruit many volunteers and experts to come and help us during our week long fact finding expedition in May’ says Katie Geraghty IPCC’s Campaign Officer. This entry was posted in News and tagged biodiversity, Bogs, Conservation, Events, experience, IPCC, Ireland, open day, peat, Places to Go, Things to Do, visitor, Walking. Bookmark the permalink.